Discover why the right business communications solution can save you time and increase efficiency. Telecoms are, on the whole, relatively unexciting. Where other technologies develop and evolve, telecommunications go relatively unnoticed (particularly when everything is working properly). Little surprise then that enterprise-class organisations rarely review their communications infrastructure when there are other, more high-profile investment options that take priority – particularly those that are perceived to deliver more obvious savings or performance improvements. The ISDN system upon which your business has relied so heavily could actually be a drain on your resources and costly to maintain. Many CTOs are also concerned that the time, effort and resources needed for the implementation of a next-generation alternative will outweigh the benefits. The reality is that sticking with ISDN could actually be limiting your business and moving to an updated communications solution is actually far easier than you may think. Where this confusion exists, sticking with an existing business communications platform can seem to make the most sense, even if the decision does come at reduced efficiency and higher costs. The fact is that most enterprise-class organisations are already utilising VoIP technologies – at least internally. Almost all modern office buildings are now fitted exclusively with CAT5/CAT6 cables which many businesses have been using when routing calls. As such, most of these companies already have the infrastructure required for the adoption of a SIP-based business communications platform. 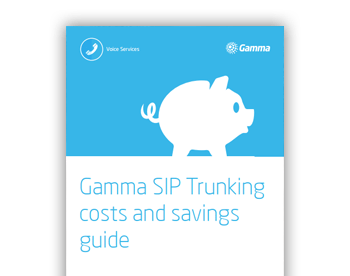 SIP trunking has also matured considerably over the past five years, offering business-grade resilience to safeguard a vital communications channel in the event of disruption. Even more importantly, SIP provides a stable platform on which to build a next-generation unified business communications system which flexes to meet your businesses constantly evolving needs. Although your current ISDN infrastructure is well established, the inflexibility of the platform could actually be holding your business back. The inability to react quickly to changing business priorities means that your business may already be missing opportunities to create new efficiencies – your incumbent system is failing to provide you with true value for money. It may seem like good value for money to sustain the lifespan of your existing communications platform for as long as possible. However, where you are reliant on ISDN your business is already losing out.